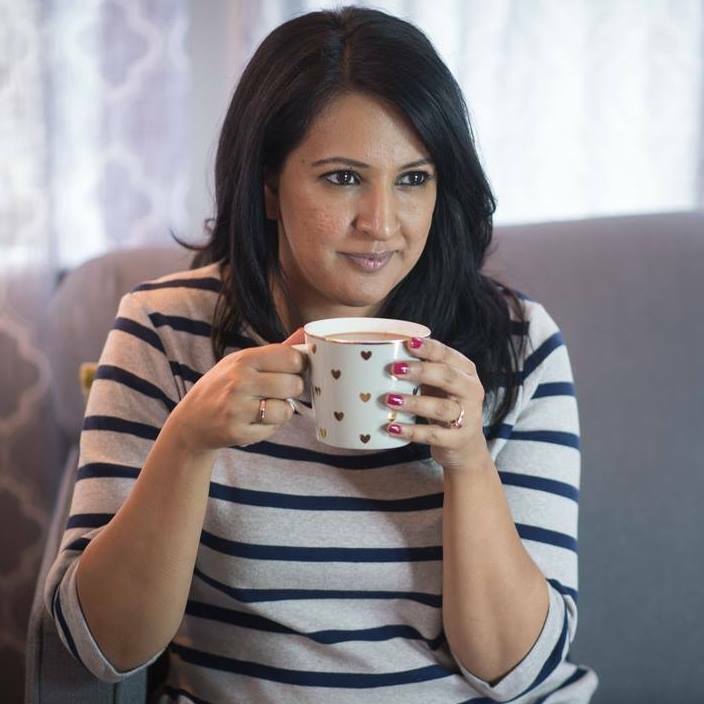 Back in December I shared my new decorating crush – partially painted walls. 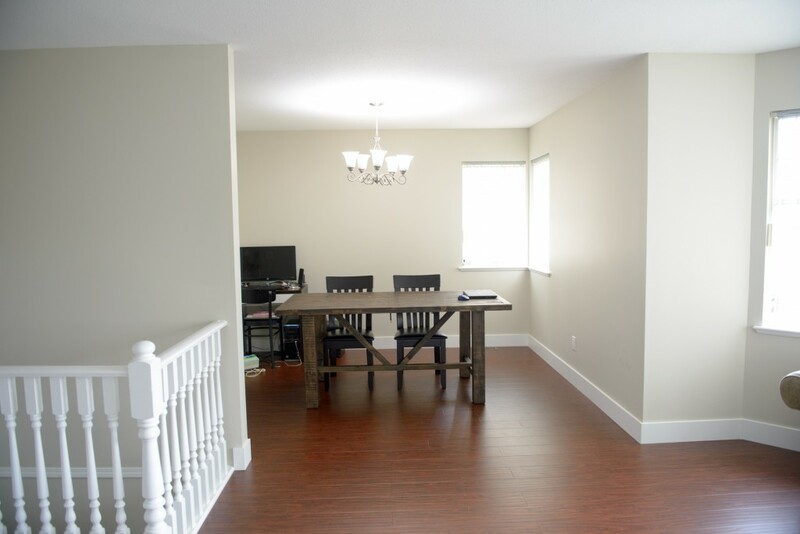 I’ve always been a fan of deep saturated paint colours and accent walls, but I’ve been struggling with the right way to integrate that into my current house which is pretty compact and a little dark. Well, a few weeks ago inspiration struck on a Friday night and I decided to paint the dining room. We’ve chosen chairs and a bench for the harvest table. 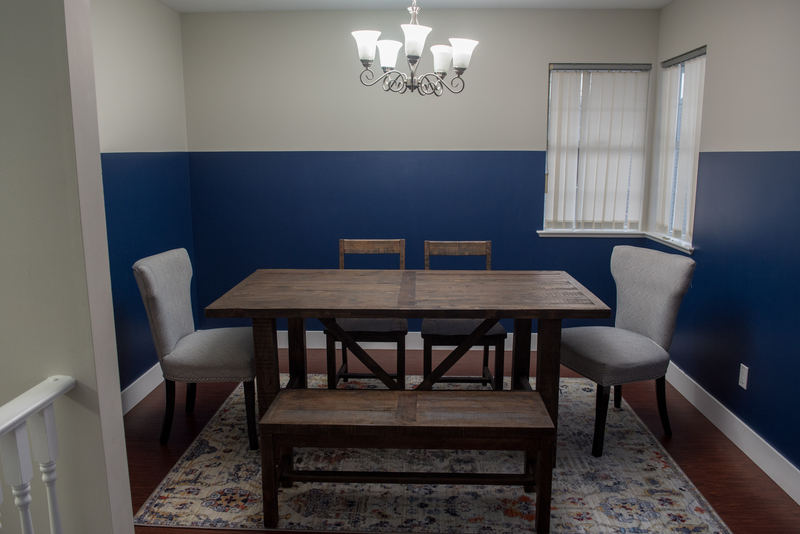 I know the wooden chairs look small in this picture but they are actually the perfect size for this table and the space we have in this room. Of course we still have some finishing touches needed in this room which I’ve tried to plan out below in my poor representation. I‘m planning to cover that awkward window in the corner with some sheer navy curtains that match the paint. We’ll be adding picture ledges all around the room (hoping to tackle that this weekend!). I’d like to display a variety of family photos and artwork in this room, and have the flexibility to change it up whenever the mood strikes. And of course, that awful light fixture has to go! 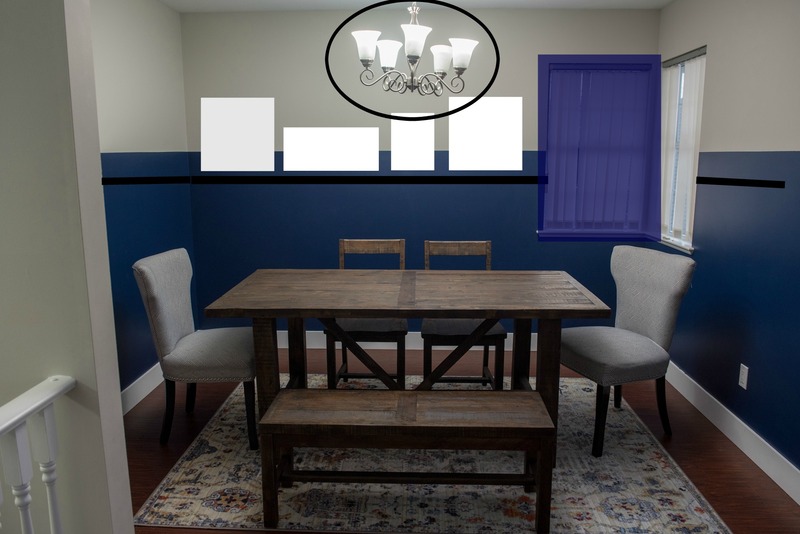 The curtains and the picture ledge should be a relatively easy change, it’s the light fixture I’m struggling with. I’d like to go with something bold and unique, but we also have a light fixture in the stairs they would both be visible from the living room couch and have to work together visually. I’m really leaning towards something with an ethnic or Moroccan vibe like these lamps, but I can’t seem to sell the Mr on the idea. I’m so glad I took my time thinking about how I wanted this room to look and didn’t rush to put up art or pictures. 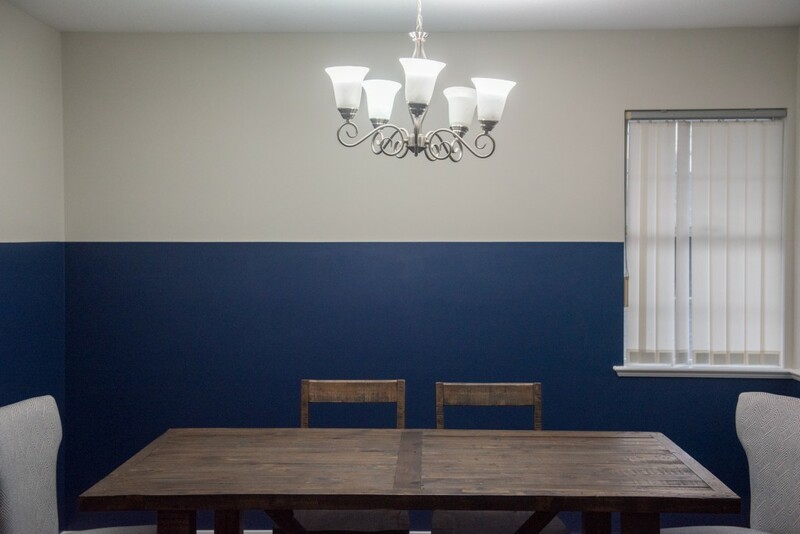 This navy blue feels so right for our cozy dining room & it was such a simple upgrade. Next Post Should I Buy a Microwave?